The Glass Artists’ Gallery is Australia’s foremost contemporary glass gallery and is the collectors’ choice for accessing exceptional works by emerging and established Australian and New Zealand Artists working in glass. The Gallery has a program of changing exhibitions that promote and focus on diverse and unique works by Australian and New Zealand artists. The Gallery also maintains a wide range of work by these artists on display, both in the downstairs and upstairs gallery and in the stockroom. 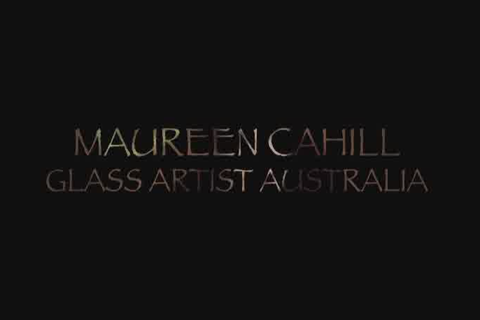 Initially established in Paddington in 1982 by artist/educator Maureen Cahill, a seminal figure in the Australian Contemporary Glass Movement whose prime focus has been working to promote glass as an art form to the broadest of audiences, both on a national and international level. The history of the Gallery is attached here. Maureen Cahill is an established glass artist with her best-known work, ‘Shoreline’, World Congress Centre, Melbourne and ‘Willy Willy’, the suspended glass permanent installation over three levels in Parliament House, Canberra. In 1978, she established the country’s first full time university glass course and was Founding Head of the Glass Studio at the Sydney College of the Arts. ‘The Glass Studio’ has been part of the professional development of some of Australia’s most successful contemporary artists working in glass today and Maureen was instrumental in its development where she remained a lecturer until 2003. Maureen Cahill, instigated Ausglass, the national membership association for glass artists at the first national glass conference which she organized in 1978. She co-founded the prestigious, annual Ranamok Glass Prize with Andy Plummer in 1994. This is an annual acquisitive prize for artists resident in Australian and New Zealand. This award has gained international recognition as a major contemporary glass prize. The Gallery has exhibited artists internationally since 1991. These have been in major expositions in Chicago, New York, Singapore and London. The success of these exhibitions is measured by the constant demand for Australian and New Zealand glass artists’ work by major public and private collections both in Australia and overseas. The Gallery is located in Glebe which is renowned for its village atmosphere where students, artists and business people all rub shoulders harmoniously. As a busy inner-city suburb of Sydney, Glebe is situated near the gardens of Victoria Park, the Seymour Theatre Centre and is in the university precincts of University of Sydney, Notre Dame and UTS.